A couple weeks ago we have been 3D printing Dutch DJ Oliver Heldens on the Builder Extreme 1500 3D printer. Oliver Heldens is a 23 year old DJ from Rotterdam and plays Deephouse and futurehouse at the biggest clubs around the world. During the summer of this year one of our employees was listening to Dutch radio station Slam fm. The radio station was playing a song of Oliver Heldens and one of the listeners said “He is such a good DJ, he should get his own statue”. The radio DJ from Slam fm asked if anyone has any experience with making a statue, so our employee called the studio and talked about Builder 3D Printers live on the radio. 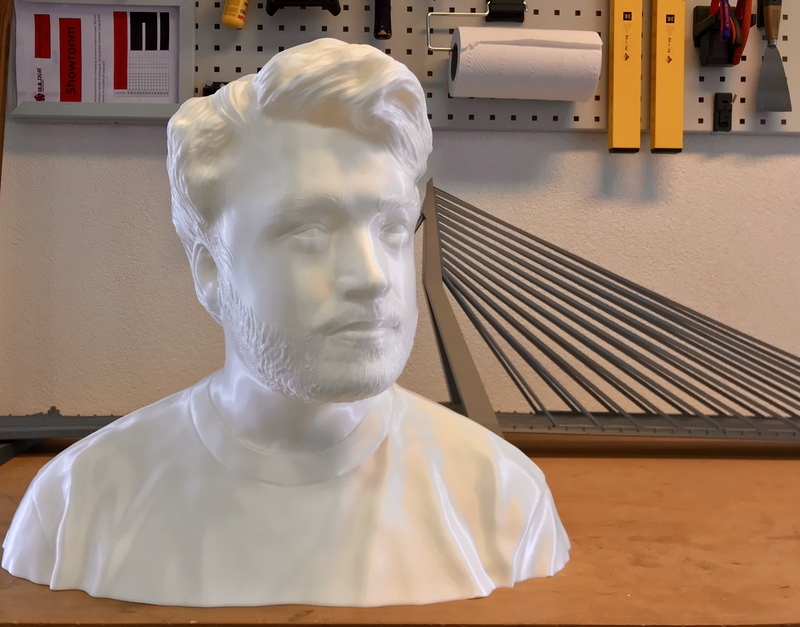 A few weeks later Oliver Heldens and his team went to 3D makerszone in Haarlem and made a scan of him. The scan was sliced with Simplify3D and was ready for printing. 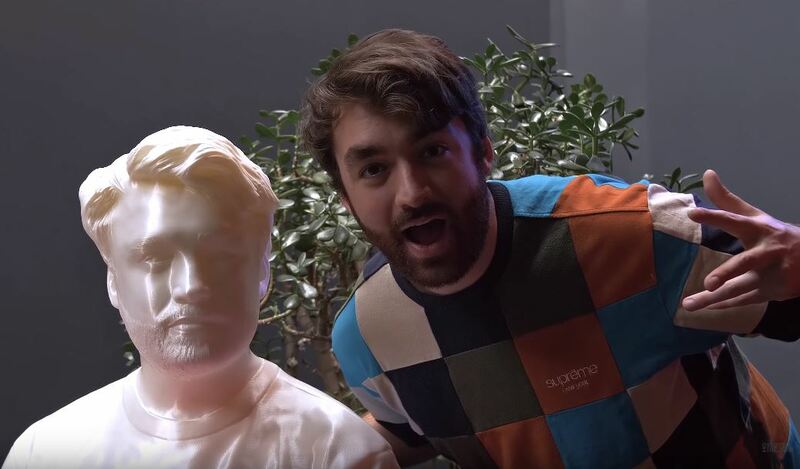 After 3 days of printing the life size statue of Oliver Heldens was ready. The statue was 3D printed with a 0.4 mm nozzle, a 0.2 layer height and was printed in PRO1 filament for an extra smooth finish. The statue was presented to Oliver at Amsterdam Dance Event, the biggest dance event of the world. The statue will get a special place in the Netherlands and more information will follow soon.